Trust is a huge part of our lives whether we know it or not. From the most basic view point we trust life every time we release our breath, we trust that there will be more air to breathe in. Can I trust others to love me? Am I actually loveable at all? I must not be worthy of love! Etc. etc. etc. When another lets us down, trust is lost. The impact of this is dependent on the extent and timing of the trauma or incident. What we experience at an early age becomes the belief structures, that then play out throughout an entire life if they are not addressed. If we are bullied extensively at school or home, the trauma often results in a lack of trust in general. Not trusting that I can feel safe (ever). Not trusting that decent human beings actually exist. Not trusting if someone offers me support, and if I do let them in, when is it going to turn bad! As a consequence of these experiences, we often put up barriers and never show vulnerability to anyone. The problem of course is that this cuts people off, and cuts off the potential for new and better relationships which can actually help to heal us. We know that new and improved relationships often help to shift your beliefs of the world and the people in it. ….. So let’s look at this in terms of the bigger picture. If this sounds like you, what is life calling you to heal? Who are you becoming as you take on this healing journey? My view is that you are not becoming anything new. I think you are uncovering the person you have always been beneath the survival strategies and negative beliefs. Some one said to me this week “So I need to strip away what others have told me about who I am, and what I’ve decided I am by being with them, and see what’s there” Yes, what a great way of putting it! 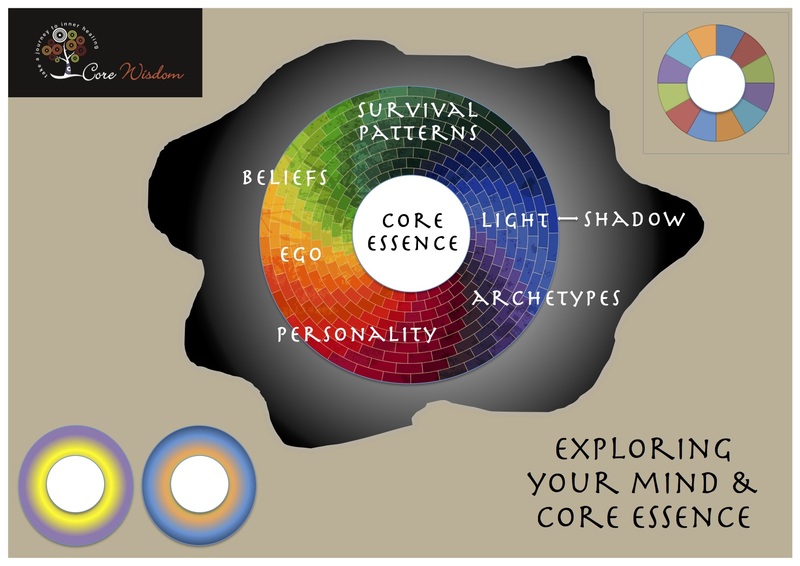 We find out who we are beneath all that, at our Core ….. we experience our Core Essence. A lack of trust occurs as a consequence of negative life experiences either big or small. It can manifest in never wanting to go out alone, keeping people at a distance and hording money etc etc. Beneath this is our innate nature, the part of us that trusts life and everything in it fully. Before you reject this idea, let’s explore it a little. A baby/child trusts totally until it learns otherwise, doesn’t it? This is not to say we should go out into the world being so trusting like a child that we make unwise choices. The reason a baby is so trusting is because he assumes that everyone else around him feels open, happy and keen to love and connect, just like he does. She doesn’t question her self worth or whether she is lovable, she just IS. I like the idea that we could be in the world like this, open and trusting so fully that we know that everyone has our best interest at heart because, ultimately, everyone actually DOES. But let’s get a grip, life is not like that. 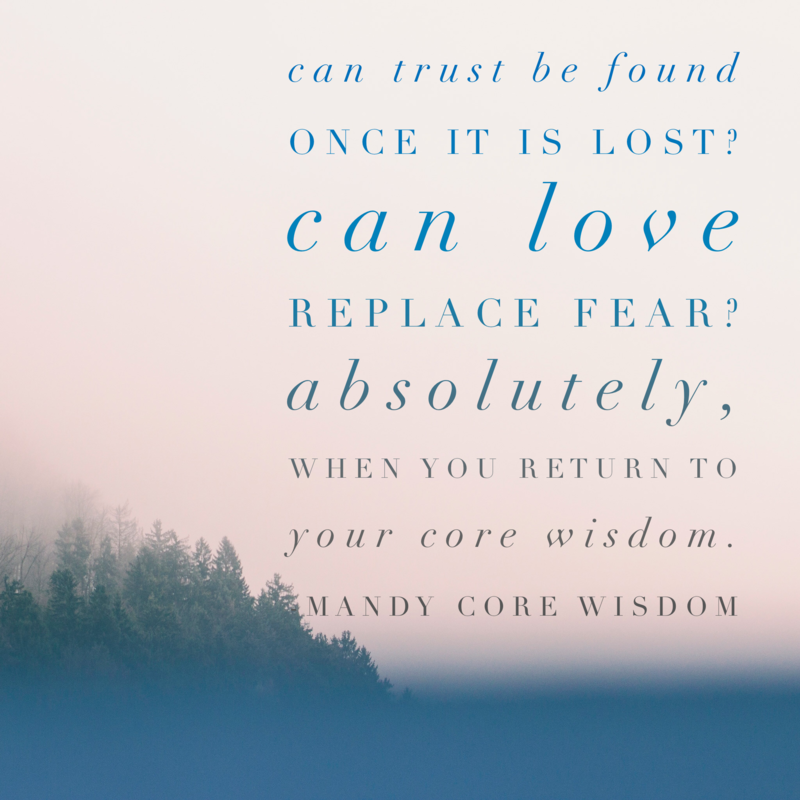 So we need to take the wisdom of our life lessons and find our way to connect into our innate trust again and combine the two. Go and do what you love, for example go to the beach alone, and do it where you know others are around if that’s important to you. Say yes to dinner, don’t drink too much and drive yourself home if that’s important to you. Be open and full of potential, while remaining wise and discerning about how to live life. How do we do this? We unravel the story, understand the traumas and beliefs and how they are stored in our body-mind. We work to release them emotionally, mentally and energetically. In this way, the wounded patterns have less of a hold on us and we can begin to show up differently in the world. Your innate nature is to trust and be peaceful within yourself. If you need help finding that place in you, please come and visit. You are whole and amazing beneath your wounds and negative belief systems, and it’s deeply healing when you truly know this about yourself and others.